Plus It Will be Wonderful in Many Color Themes! 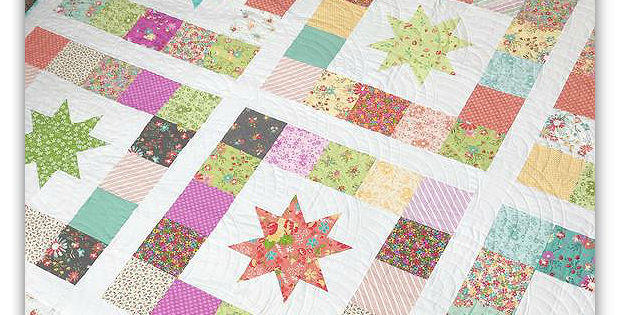 Choose four charm packs of 5″ squares or one layer cake with 10″ squares for the foundation of this pretty quilt. Then select a variety of prints for the stars and a solid background. 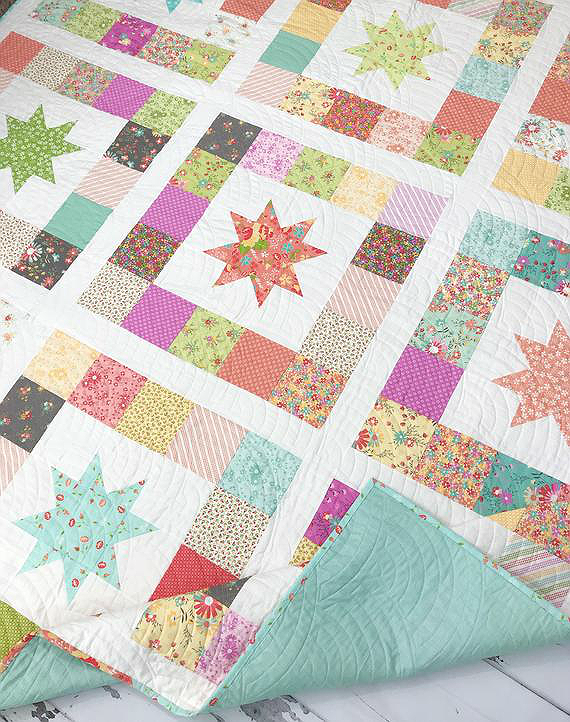 The quilt is so pretty in pastel prints. However, it will beautiful in whatever color theme you choose. Seasonal prints will be wonderful. Or go with your favorite color theme. It’s an easy one to make, too. The stars float on the background so you don’t need to worry about losing the points in seams. In fact, a beginning quilter can easily finish this quilt. Once completed, the quilt from Primrose Cottage Quilts is 78″ square. 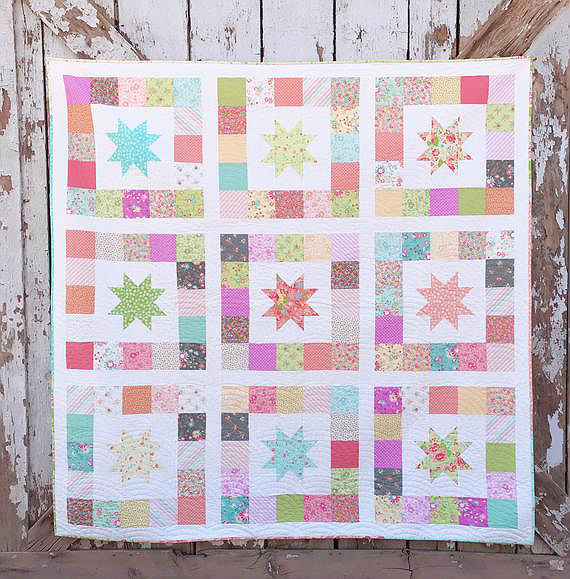 Click here to purchase the “Starbound Quilt” pattern.